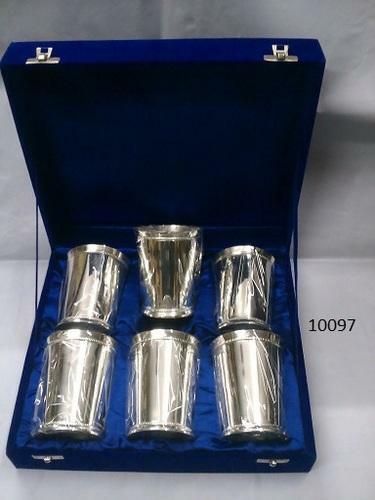 Established in the year 1997, at Moradabad (Uttar Pradesh, India), we, “Metal Ocean,” are successfully ranked amongst the top manufacturer and exporter of the best quality Candlebras, Key Ring, Pen Holder, Engraved Goblet, Wine Goblets, Incense Stick Stand, Candle Holder Lamp, Pooja Plates, Antique Goblet, Napkin Ring, Candle Stand and Designer Trays. Our offered products are precisely manufactured using excellent quality raw material available in the market and sophisticated technology under the guidance of our experts. Also, offered range is designed with high precision in order to meet the set international standards. These products are extensively appreciated among our valuable clients for their unique features such as appealing look, perfect polish, durable finish and durability. Our precious clients can avail these products in both, standard as well as in customized options as per their varied requirements. Besides these, we offer these products to our precious clients at very reasonable price.